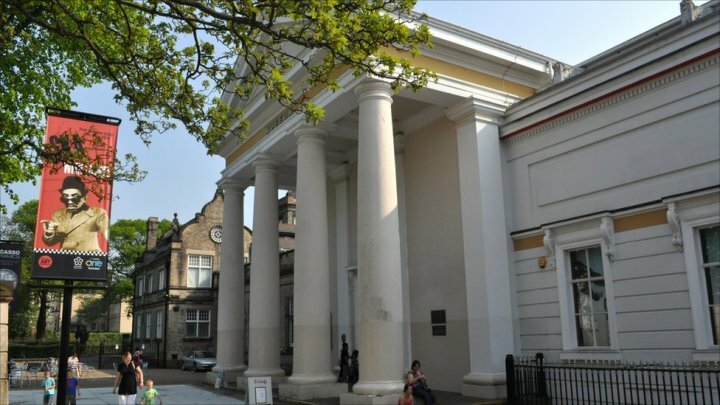 New Walk Museum and Art Gallery originated in 1849 when the Literary and Philosophical Society formally presented to the town its various collections, which have grown and developed over the last 160 years into one of the premier museums in the region. On the ground floor of the museum, visitors can enjoy the Arts and Crafts Gallery. The first floor galleries include Picasso Ceramics: The Attenborough Collection and Leicester's internationally renowned German Expressionist collection. The museum also offers a range of events from curator's talks to lunchtime concerts. New Walk Museum and Art Gallery is approximately ten minutes walk from Leicester City Centre and Leicester train station and accessed along the pedestrianised New Walk. New Walk Museum and Art Gallery has full access for disabled visitors with a lift to the first floor galleries and an accessible toilet. Please note Gallery 6 has a small stage area for step access only. There is provision for two parking bays for Blue Badge holders in the museum car park. The museum also has available a wheelchair for loan during the visit to the museum (please contact the museum in advance to ensure availability).